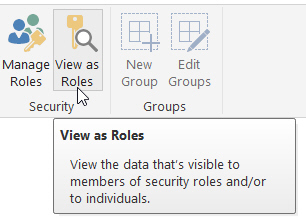 You used not to be able to use row-level security in Power BI unless you (and those viewing your reports) had Power BI Pro. However, Microsoft have now removed this restriction. With that out of the way, let's look at how to stop those pesky Southerners seeing our good Northern data! If we view our report as the northern manager, we'll only see courses for the shaded rows. Double-click on the relationship between two tables to edit it (for our example, you'll need to drag the CourseId from one table to the other to create the relationship first). Choose Both to make each table's row filters influence the table to which it's linked. Select this tab, even if you think it's spelt wrongly! 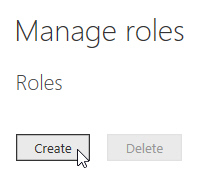 Choose this option to create and edit roles. 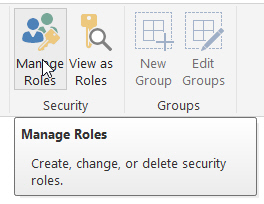 Click to create each role. Right-click on a table which contains a field you want to filter by, and choose the field. If you don't know DAX, don't worry too much - it'll be pretty obvious what to do once you've read this blog. Replace the word Value ... ... with the required venue. Select this tool on the Modeling tab of the ribbon to test your roles. 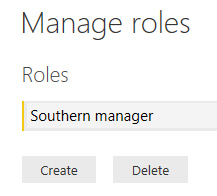 Today, Matthew, I will be Southern manager (unfortunately only people in the UK over a certain age will get this reference to Stars in their Eyes). When you've finished, click on the Stop viewing button at the top of the report. 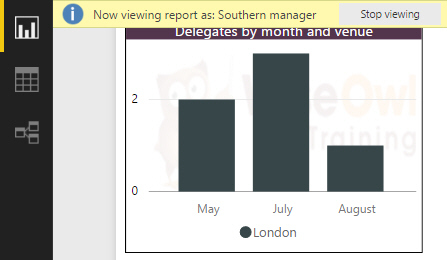 The Northern manager can see data for Manchester or Birmingham. You're almost certainly better off using the user principal name function. 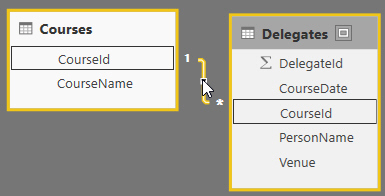 When you publish a report, the UserName() function in Power BI Service switches to returning the user principal name instead. 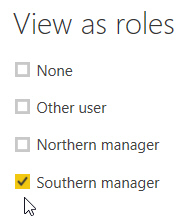 So now you've created your roles, it's time to publish it and look at what you'll see in Power BI Service.